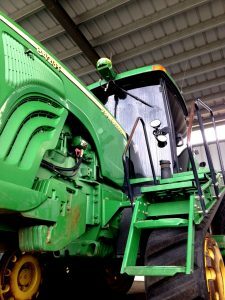 In addition to auto glass, DMG also specializes in glass repair and replacement on Ag equipment. Our services include everything from windshield and side glass replacements, to reseals for air and water leaks. Our experienced certified installers, can replace just about any piece of glass on your equipment. We can cut and install flat glass on site from your existing pattern and make custom patterns from your vehicle's opening. Don's provides free estimates on all of our services, with guaranteed same or next day service. We also provide a mobile service available for your convenience and a lifetime warranty on our labor. Aside from glass, we also service aluminum milk barn doors, hardware and closers on existing doors, and bug screens for your farm.